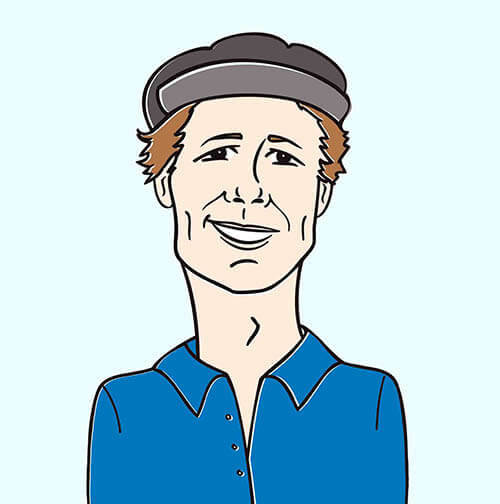 Howdy programming partners, it’s Andy Gesner and the HIP Video promo crew with a hilarious and witty new clip from world famous comedian Rev. Monty B. Sharpton. If you’re a comedy buff, you might have heard Monty’s other alias – Lamont Bonman. Regardless of your Sharpton awareness, you will easily find yourself laughing and singing along to this feel-good and humorous clip titled “Pay Me.” With all of its marvelous outrageousness, there is something charming here for every viewer; and it is this universal appeal that has garnered Monty B. Sharpton so much success throughout his versatile career. “Pay Me” is a clever commentary on how lending your friends money always ends up to be a terrible idea. For one, they never pay you back! Secondly, you’ve got your own people to pay, so the endless chain of unpaid payments continues into hilarious infinity in this cheerful video. The clip finds Monty in an array of creative and flashy outfits, while surrounded by an equally zany group of characters – a wacky piano player, a mean diva, pretty girls, Monty’s mother, money hungry children, and, of course, that darn friend that never pays you back! Throughout the entire clip, Monty restlessly chases down his broke companion in hopes of extracting the owed cash, while the other gets away in humorous fashion. The song is a combination of classic R & B and new T-Pain style pop, reminiscent of some of the Digital Shorts put together for Saturday Night Live in the recent years. “Pay Me” is not only the title, but also the instantly memorable chorus, which, we promise you, will be stuck in your head from the first twenty seconds of listening. The song follows the video in its avant-garde content and humorous wit. However, the track always stays classy and clean. You will not find abrasive language in Monty’s work, which makes his humor all the more valuable. We are extremely excited to be representing a comedy star and his wonderful new entry into the music world. “Pay Me” is coming from Monty’s new record of the same name. We have plenty of Monty B. Sharpton stuff here at the office for any of your contest and giveaway needs, so be sure to reach out right away! If you need more info, call Andy Gesner at 732-613-1779 or e-mail us at HIPVideo@aol.com. 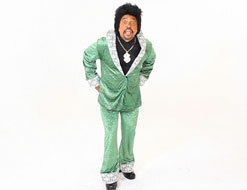 You can also visit www.PayMeMyMoney.net or www.comedyonamission.com/RevSharpton.htm to find out more about Monty B. Sharpton.